The 2017 Minnesota state champion Eagan Wildcats. 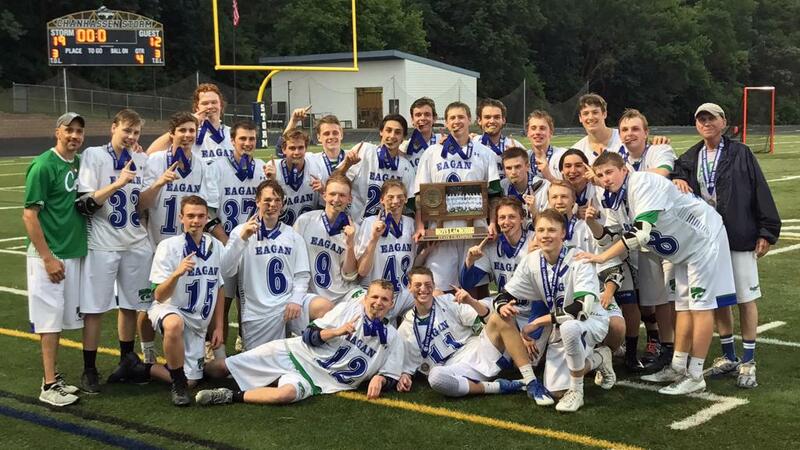 The Eagan Wildcats boys lacrosse team secured its first Minnesota high school championship with a 19-12 victory over Benilde-St. Margaret's. The Wildcats finished the 2017 season with a 18-1 record. Eagan made it to the championship game with a gut-wrenching 12-11 overtime victory over Mahtomedi. Five Wildcats were named to the All Tournament Team: seniors Joey Hofmann, Darby Sorensen and Brandon Wuertz, and juniors Jack Courington and Cole Powell. Championship stories from Star Tribune, Pioneer Press, This Week. Wildcats Joey Hofmann, Jack Courington (kneeling), Cole Powell, Brandon Wuertz and Darby Sorensen were named to the All tournament team.